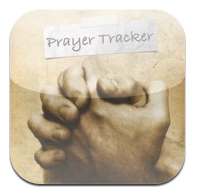 When I first heard about the Prayer Tracker, I thought it would be cheesy. It’s simple, it’s free, and it’s awesome! This is where you add your prayer requests. It also has a badge number on the tab so you can keep track of how many prayers are unanswered, a great reminder to PRAY! Once a prayer from the UnAnswered section gets marked as “Answered” you can set the date it was answered and also update the prayer with how it was answered. All prayers are labeled with the date they were answered and sorted by the latest answered. This is a really slick feature! You can share any prayer. You can setup groups of contacts to send your prayers. Create a “Small Group” group and add your contact’s email addresses. When you click on the group name, an email will automatically be created with your prayer inserted and your groups email addresses added. Told you it was pretty. 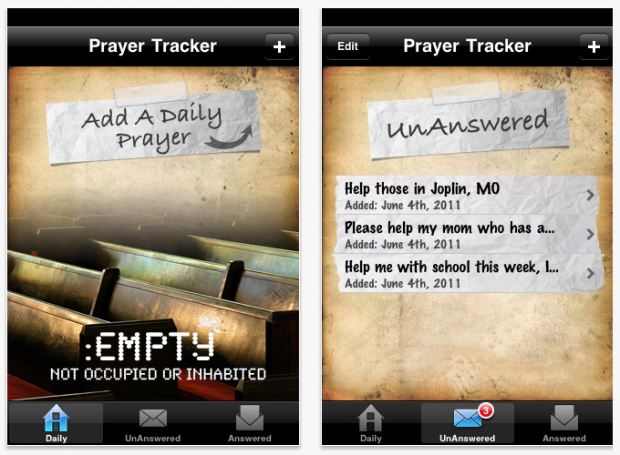 Learn more about Prayer Tracker and download it from the Apple App Store. Thanks for your honesty, Brad. Many run blindly to the defense of Christian tech, good or bad. This one looks like a #WIN to me! 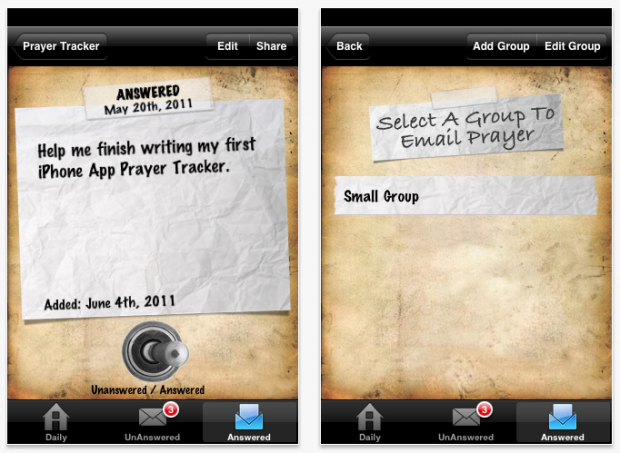 I’ve never thought of having a prayer category in my todo list/app, but this has given me the idea. I’m the guy that wrote this app. Thanks so much for reviewing it! It was my first attempt at writing a iPhone app. I’ll be pushing a update soon that allows for password protecting the app. Enjoy! That would be a GREAT update! I submitted the update yesterday with passcode protection. 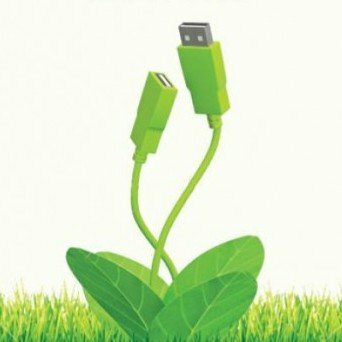 It should be available soon once apple approves it. Sweet! Thanks for keeping us in the loop! Our church is scheduled to participate in the Prayer Dare in September. This app may be quite beneficial to some in our congregation. I like the idea of being able to share the prayers with others but am i the only one who thinks the answer vs unanswered section seems like it’s testing the sucess rate of prayer? I could be getting the wrong end of the stick so please let me know what you think about it. Honestly, knowing Brad, that wasn’t the intent at all. The Unanswered section is really just a place to put the things that you are currently praying for – not a way to judge whether or not praying for something was “successful”. that’s great because it’s easy sometimes to focus more on the negative stuff that’s going on, so the Answered section is a good reminder of the prayers that have been answered and ways that God has provided.